Past few years saw successful maiden flights of the roadable flying cars, the upcoming years 2017 is loaded with the possibilities of release of new real flying cars into the commercial world. Besides, we already have one parachute powered Flying car model designed by UK-based Parajet Automotive, for sale at present. 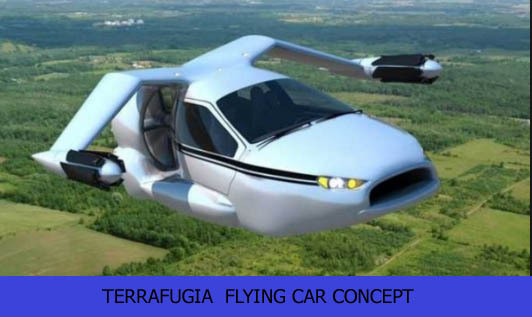 Below is the list of Flying Car for sale with price. The very first, Flying car making company, PAL-V has officially started the sales of its commercial models, the Liberty Pioneer and Liberty Sport. Their test programs with the demo models in 2009 and 2012 were totally successful which made them work on the program with more zeal and sincerity. They started working on their commercial product project and soon they were done with the commercial products that have been launched today. You can pre-order one here price starting €299.000 which increases to US$599,000 depending on model you choose. The Skyrunner is the first flight-capable personal vehicle that is now available on sale price $ 119000 (£74,282). 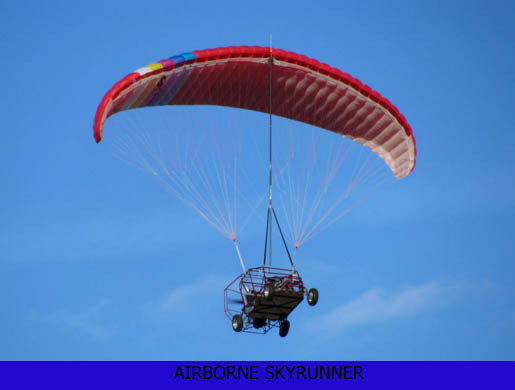 This is an all-terrain vehicle which is capable of getting transformed to a light sports aircraft in 3 minutes is already on sale now. It made its debut in the Fort Lauderdale International Festival in Hollywood in the year 2014 . Anyone above 17 years can get license to drive the runner after 12 hours of lessons. It has got a range of 500 miles with average speed of 53 mpg on the road and 200 nautical miles in air. It has a maximum speed of 45 mph in flight mode and can fly 10, 000 feet above the sea level in accordance with FAA regulations. the powered parachute design makes it very different from fixed-wing designs of the roadable aircaraft and the makers claim this feature adds, ‘safety, reliabilty and portability’ to the vehicle.It is equipped with a 1 liter Eco-boost three-cylinder turbocharged motor of subcompact car of Ford Fiesta make. You can ordered now for a deposit of $5000. The Terrafugia Transition can be launched any time now between 2016 and 2017. It was scheduled to be launched last year. 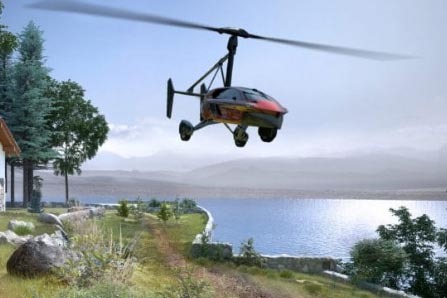 The company had further planned to launch the fully automated version of Terrafugia Tf-X model by the year 2021 and having an estimated starting price of £200,000. Transition had nearly 100 pre-orders as early as December 2011 when its price was raised to $ 279,000 (£180,000) from original estimated amount of $ 194,000. It would be no big deal the Terrafugia Transition may be launched in forthcoming years at a upgraded price. 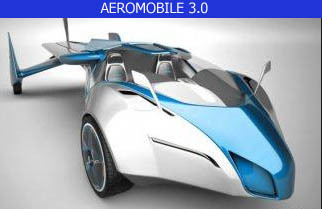 At the Vienna Pioneer’s Festival held in October 2014, the Slovakian company announced the 2017 as the most likely debut year for the commercial launch of AeroMobil 3.0. The CEO Juraj Vaculik said to bring the flying roadster in the market is the main challenge and required settling the government and bureaucratic norms of both land and air. The estimated price has not been announced but Vaculik was seen as remarking that it would be a small plane of a “couple hundred thousand dollars”. The latest two-seater model can transform from a roadie to plane in a matter of seconds and is nearly 20 feet long and has maximum speed of 124 mph and sustains on unleaded automotive quality gasoline. The company also plans to bring up a fully-automated version in about 10 years. But it has very high cost. I am sure you will need some kind of license for this kind of car and I do not mean the normal one haha I would also think that you could not just go anywhere in the city limits and would need some kind of radio contact or something to be able to get contact with other cars. these things I would assume would be important for flying in the air for now anyways and know how high and low the other air crafts might be flying. so they can be seen by others. I know planes like west jet fly blind after awhile and they are at different altitudes so they do not crash into each other for safety reasons. girls and guys, we all need VISIONS. we need full electric cars and trucks to improve our cities, and flying cars to get rid of traffic jams and just fly – when you fly, you move on three dimensions and not in just one. the feeling you get is just splendiferous, you feel better and younger. as soon as flying cars will be reliable and affordable I shall not buy one of them, but TWO. you all, don’ t live in the past, live in the future. That cant happen though for a very long time, because even if we do stop making gas powered cars, most of the population will still own gas powered cars, and classic car owner most likely wont convert their cars to electric. Its a nice thought, but cant physically happen in our lifetimes. When these flying cars will be come in UK. i am very Interested to fly with flying with flying cars. Could you tell me how these flying cars fly and how to control. where we can get training to fly these flying cars. I am so happy to read of the Flying car through the internet. I salute your research and technology mechanism. I am interested to get acquainted with you now and for ever. Subject to foregoing, I am ready to serve you honestly anytime. will this flying cars have signal network with airport control tower ?